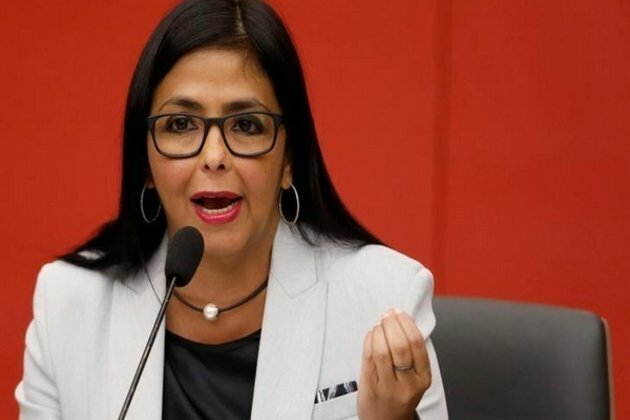 "big lie", Venezuelan Vice President Delcy Rodriguez said on Saturday (local time), adding that such moves indirectly reflected on the United States' intention to topple President Nicolas Maduro from power. "This [humanitarian assistance] is a big lie." Rodriguez said that the humanitarian aid is just an excuse through which the US wants to enter into Venezuela and further create situations of a coup. She also accused the Opposition led by Juan Guaido, who announced himself as the interim President of the country last month, to be acting upon the orders of Washington. "Washington believes that [Venezuelan President] Nicolas Maduro should go. Washington's response is its distorted doctrine of regime change [in] democratic nations that do not like it when someone twists their arms and forcibly interferes into their internal affairs," Rodriguez explained. "false positive" impression about its own policies against Caracas, which by no means requires any help from Washington, despite reeling from social and economic problems. Recently, the Venezuelan army had barricaded the Tienditas international bridge on the border with Colombia and blocked trucks and tankers carrying aid from entering into the country. "authorize" a foreign military intervention into the country to topple President Maduro. According to reports, President Maduro, many times since the crisis began in January has called for dialogue with the Opposition but was turned down repeatedly.